Travelling around the globe lure increasingly every other year and it is so upsetting when all kinds of obstacles arise on the way of undertaking trips. Outlook offers you not to get desperate if you cant set on a journey. Today we suggest you get inspired with movies in which one city or another plays equal part to actors ones. Well tell you about five films that, alongside having artistic merits, educate as good as habitual tour guides do. I Love You kind werent taken into consideration because, with all due respect to creators of such collections, they were, alongside other reasons, created with purely advertising intent  to promote a certain city. Also, stories told in such novellas are universal so locations themselves were pretty much irrelevant. In a selection of our own we attempted to put together only the films, events in which couldnt have happened in any other city. Well, enough talking  lets watch and travel. Upon watching this masterpiece, string of associations will probably be shifted in ones head and Berlin will cease being identified only with rivers of beer, hipsters and war. In two hours of screen time one of Germanys major directors creates a unique and inimitable world that extends from Brandenburg Gate and Victory Column to suburbs. Audience sees not just a metropolis but a city with in oh so many ways tragic destiny; the city, that uses camera to try and prove there is no fault of his in all terrors of Nazism and militarism and that it is just as mortal as its citizens. 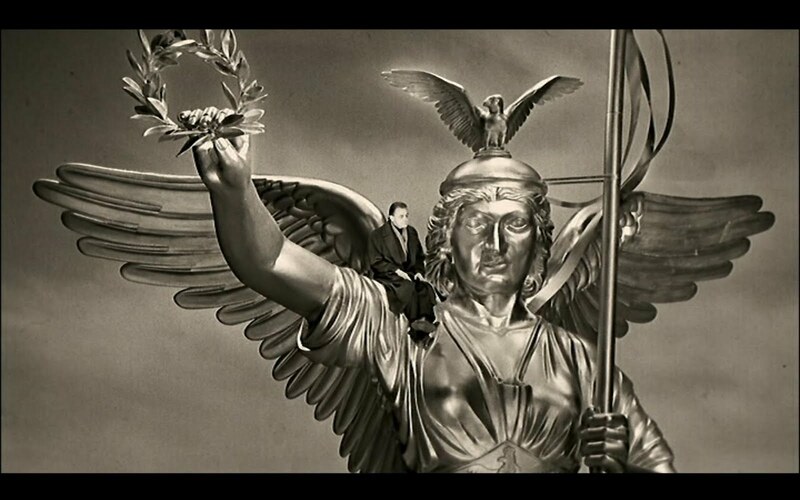 In Wings of Desire there are very few point blank cues to war but it and its consequences are felt in every frame although it may seem at first sight that there is merely a fantasy melodrama in front of us. One should watch Wenderss movies while as relaxed as possible to not only spot landmarks and recognizable objects of the capital but also espouse your imagination because the film is built on symbols, for instance, the wall that separates the East and the West is just like sky that separates angels and people. And there are a lot of details like this in the movie  it is made of them as a matter of fact  even monochromatic picture isnt achieved by means of color correction or special effects but thank to a stocking of the cinematographers grandmother that was put on cameras lens. Say what you want, but Wenders and Alekan are true air-mongers and magicians. This movie, as well as the first one in our selection, also breaks conventional stereotypes, only to the opposite direction because although action takes place in colorful Rio de Janeiro, well see almost nothing of what this city lures with  no amazing nature with ocean, no relaxing Copacabana, no astonishing beauties and street football. There will be a lot of blood and cruelty on screen instead, all against the background of the most dangerous place on Earth  slums and favelas of the city. Live camera, nervous editing and natural set make audience plunge into the atmosphere of gloomy criminal drama from life of a real district Cidade de Deus that is commonly referred to in no other way but the City of God. The word is that creators of the film were consulted by gangsters from there therefore all the events look authentic and convincing. According to confession of Fernando Meirelles, from time too time bad guys not just advised but told him what and how to shoot as an ultimatum, with weapons in their hands. This is probably why the director, who gathered numerous awards for the film, said after shooting that should he have known what the process would be like, he would have dropped the project in its earliest stage. 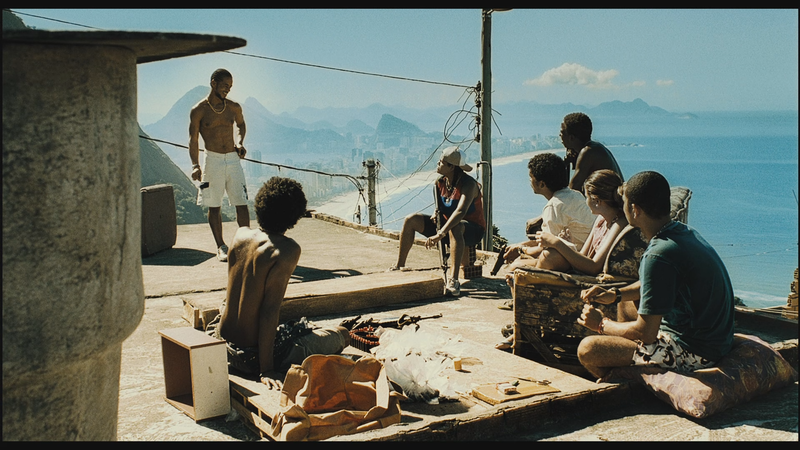 Nevertheless, the City of God became a significant event not just in movie-making but in life of Brazil in general. After the release of the film police and authorities of Rio finally ceased turning a blind eye to lawlessness and began dealing with problems of the district  a special committee was arranged with local municipality. Thank to its actions currently Cidade de Deus isnt that terrifying any more and crime rate is getting better for real. Classic sixty years old masterpiece may be watched to rags but it doesnt make charming Audrey Hepburn or Rome a slightest bit worse. 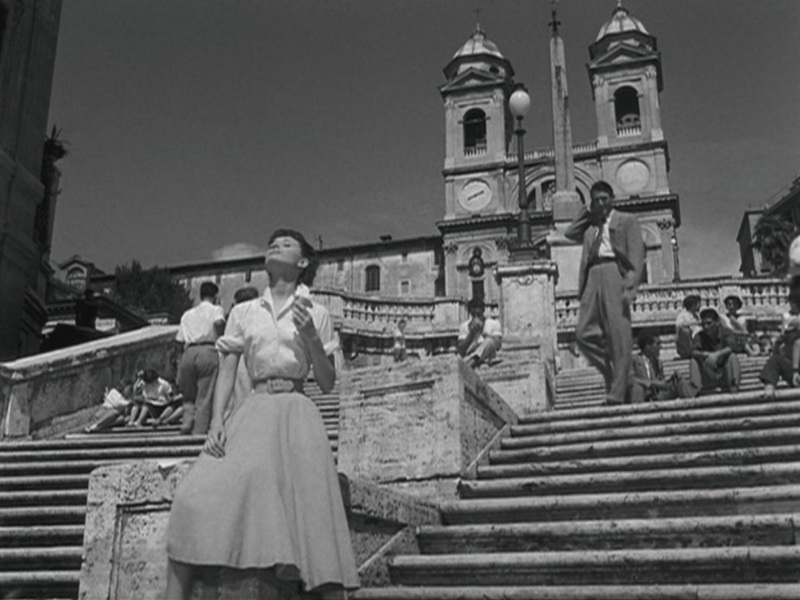 Even today this black-and-white romantic melodrama is perceived bright and colorful because this is what the Eternal City is like, heady for both own citizens and tourists. Curiously, the movie opens with a talking credit: "This film was photographed and recorded in its entirety in Rome, Italy". In focus there were both already familiar prior to the relase of the movie Colosseum, Spanish Steps and the Mouth of Truth and objects that became famous thank to the Holiday: Via Margutta with house 51 where in late 1950s Federico Fellini got settled, barber's shop nearby the Trevi Fountain, the Palazzo Galery and others. Nowadays one can even order topical tour around Rome, literally following steps of the characters. Now that we've mentioned it, it includes a ride on an old scooter - a perfect match to the one from the film. Sofia Coppola, who was born in America, daughter of the geat Francis Ford Coppola, decided to shoot her second feature film on the other side of the world, in Japanese Tokyo or more precisely in one of numerous hotels and districts nerby it. According to the plot it is there where a young girl, a graduate lost in her life meets a growing-old actor who is going through middle-age crisis. Such a guileless story doesn't seem trivial at all - the film has distinctive atmosphere felt by Sofia herself when she was a child: waiting for her father in faceless hotels while he was filming his movies is reflected in such a way that something cringes inside. His majesty the City presents itself to the audience as understandable modern city on one hand and oriental one, wrapped in enigma - on the other. Characters are confused by everything: strange time belt, hieroglyphics, unfamiliar speech, crowds rushing to and from work, exotic food and distinctive Asian color all in all. This deliberate and pleasant film should be watched not just before a trip to Japan but also when you don't want to go any further than your own room and while you are in some sort of strange moment in your life. We couldn't but include to our selection our editorial staff's favorite and main "chronicler and painter" of New York. Though Woody Allen may be wandering around the globe lately and filming in many capitals of the world, his ultimate muse isn't Penelope Cruz, Scarlett Johansson or even Diane Keaton - inexhaustible toiler of movie-making has always been inspired most by New York. 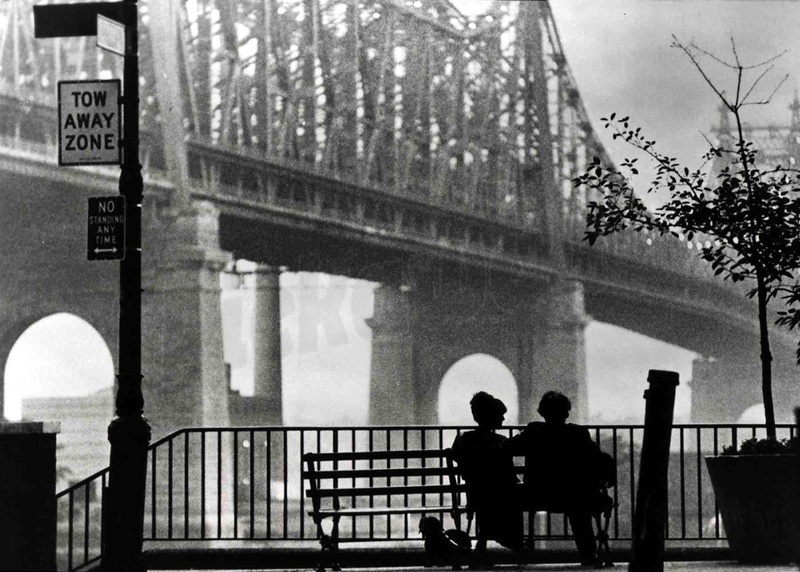 We can omit telling the plot of Manhattan - it is suffice to mention the fact alone that it was Woody Allen who came up with it, but shooting needs to be told about. Only a patriot and a native citizen could have shot everything in such a postcard style and with deep knowledge of the city. Busy streets, glass skyscrapers, idle chitchats in bars and cafes, local idiots and sounds of electric trains that is always somewhere there - every frame of the film is filled with Allen's sense of humor and charm. This movie is a lifetime monument both to the director and the city.